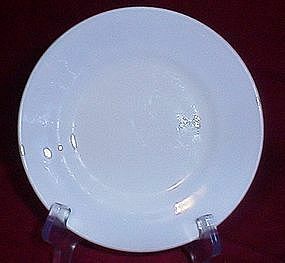 Anchor Hocking Anchor Ware white milkglass saucer, marked 21 and 94T, great condition, light wear. 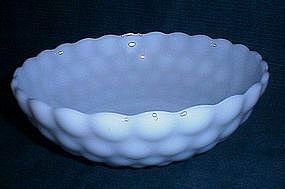 Anchor Hocking Milk glass Bubble pattern serving bowl, 8 1/4 diameter by 2 3/4 high. One small chip on rim. 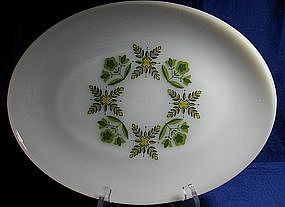 Napco white milkglass floral dish, excellent condition, 5 1/2 inches tall, 4 1/4 diameter. Very Pretty! 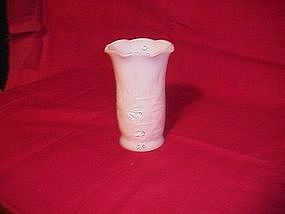 Lovely small E. O. Brody budvase, little diamond nails grace the bottom of this vase fading away at the top. 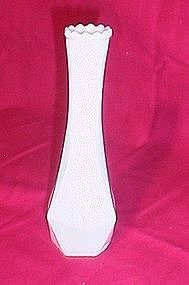 6 inches tall and excellent condition. 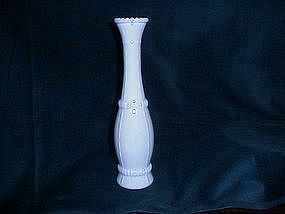 White milkglass vase by E. 0. 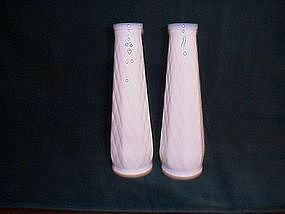 Brody, who kept florists supplied with his beautiful glass vases. 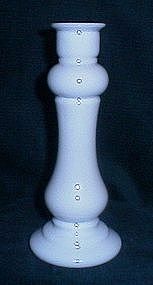 6 inches tall, 4 1/2 diameter. 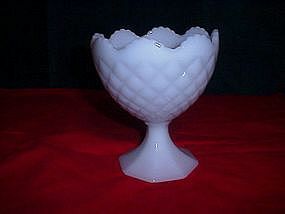 Excellent condition, does have a darker white swirl that looks like a crack but isn't. 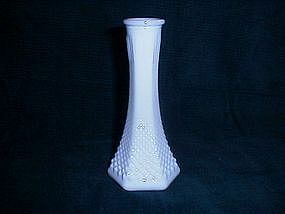 Hazel Atlas white milk glass vase with diamond facet cut. 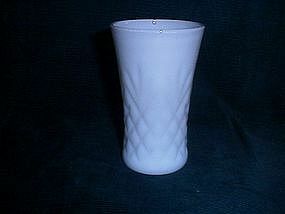 5 3/4 inches tall, in excellent condition. 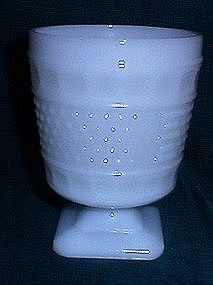 pressed milkglass vase, triangle faceted, 8 3/4 inches tall. 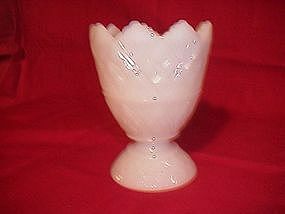 Maker unknown, has manufacturer scratches on the body but still a very nice piece.